We continue to update our equipment to stay on pace with the latest technology for producing your parts. Along with producing more intricate parts, the new technology also reduces set-up and cycle times. This translates into savings for you, the customer. 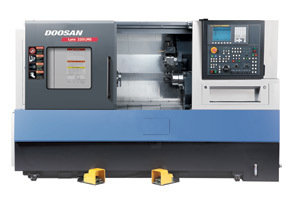 Dakota Machine Works latest addition is a DOOSAN LYNX 220MSA CNC Turning Center. This fast machine can produce parts complete in one operation up to 2 inches in diameter. All of our Citizen Turning Centers are paired with IEMCA Automatic Bar Loaders. Please take time to review our Facilities List.